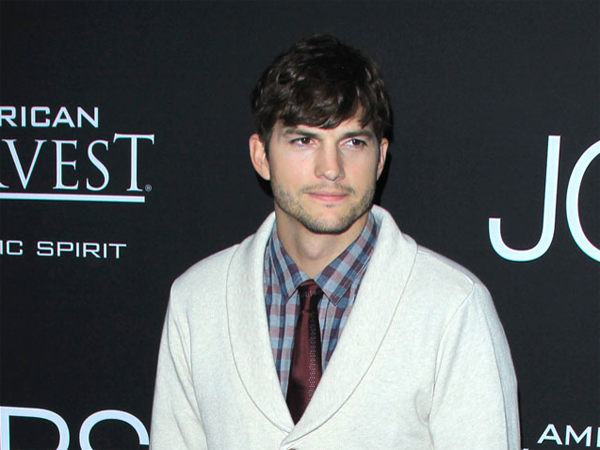 Ashton Kutcher is suspicious of everyone and believes fame has contributed to his lack of trust towards others. Ashton Kutcher is suspicious of everyone. The Two and a Half Men actor is notoriously secretive about his relationship with Mila Kunis following his highly publicised split from Demi Moore last year, and regrets that fame has left him so distrustful of others. Speaking to French magazine Madame Figaro, he said, "I've finally learnt that some things in life have more merit when they're kept secret. Relationships are one of those things. When you become a celebrity, you start being suspicious in every new circumstance. But I'd like to relate more to other people, be able to help them even . . ."
He explained, "I'm just like any other guy. The difference is that people think my life is better than theirs. It's not completely false, but I've also been down and had to pick up the pieces. But being an actor has definitely made me mature as a person." He said, "Scientists dig deep within our material world and come back with the incomparable excitement of having made life-changing discoveries. Being an actor is kind of the same thing. I'm a 33 year old woman looking to meet men between the ages of 28 and 45.